Voting is more than just a foundational right in American democracy, it’s also a core part of our civic responsibility in shaping the kinds of communities we want to live in. In this country, citizens express their power with their votes. But voting is not just how we make our voices heard, it’s a first step in becoming more civically engaged and aware of the community around us. 1. Women to the front. 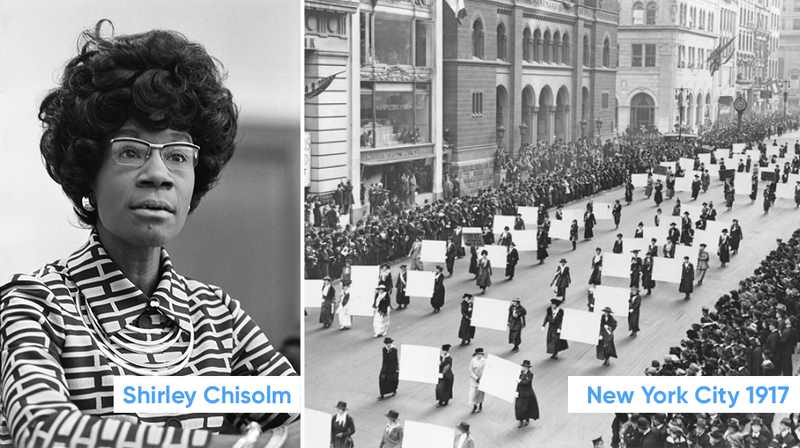 Women have been on the front lines of the fight for a fair democracy for centuries. Take the Women’s Suffrage Movement, for example — women like Susan B. Anthony, Julia Ward Howe, Adella Hunt, Elizabeth Cady Stanton, Lucy Stone, Mary Church Terrell, Sojourner Truth, Ida B. Wells, Fannie Barrier Williams, and countless others advocated for women’s right to vote and worked tirelessly for the advancement of women’s rights in this nation. On August 26, 1920, the 19th amendment became a part of the U.S. Constitution, giving citizens the right to vote regardless of their gender. Today, according to a recent Politico article, over 500 women across the country have declared their intention to run for the U.S. House, Senate, or state governor this November. This is a historic moment for women and for those who’ve amplified the #MeToo movement. Whether it’s Victoria Woodhull, Shirley Chisholm, or Hillary Clinton, don’t expect women to take a step back in moving our country forward. 2. It’s been paid in full with the lives of so many. In 1965, during the Civil Rights Movement, led by the Student Nonviolent Coordinating Committee (SNCC) and the Southern Christian Leadership Conference (SCLC), African-American leaders in Marion, Selma, and Montgomery, Alabama organized voter registration campaigns and marches. These efforts were often met by vitriol and violence and were captured by both local and national media outlets for the entire world to see. On Sunday, March 7, the march from Selma to Montgomery — led by now-Congressman John Lewis and Dr. King’s close colleague Hosea Williams — became the day known as ‘Bloody Sunday’ for the violence brought on by local authorities. President Lyndon Johnson finally addressed the crisis on August 6, 1965, by signing the Voting Rights Act into law, prohibiting racial discrimination in voting. 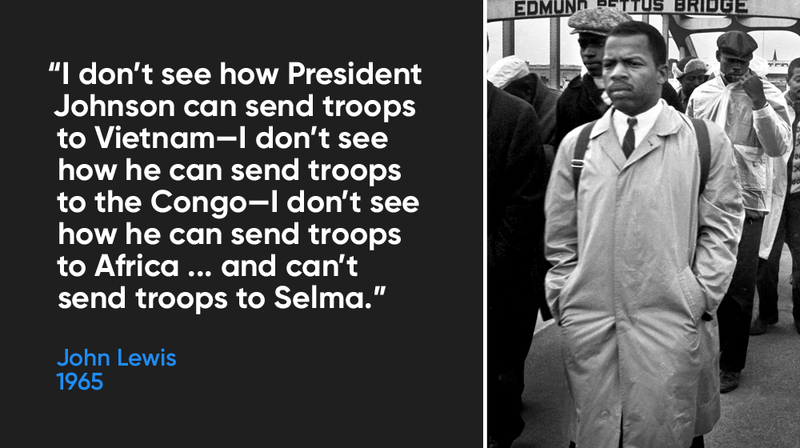 This was a landmark victory for the Civil Rights Movement and democracy as we know it today. In recent decades, voter participation has declined, in part because of voter suppression and intimidation, but also because of an increase in cynicism toward government and a lack of hope that an individual voice can truly make a difference. We know this decrease in participation is more likely to affect students and communities of color, as well as low-income urban and rural communities — the very communities most affected by issues like health care, paid leave, climate change, and criminal justice reform. In 2013, the U.S. Supreme Court’s 5–4 decision in Shelby County v. Holder gutted the Voting Rights Act of 1965 by removing the ability of the Justice Department to review changes in voting requirements prior to enactment by a state, county, or municipality that had a proven history of discrimination at the polls. It goes further. In 2010, as Republicans rode a midterm wave into power, winning state legislative and gubernatorial elections around the country, they also gained control over much of the nation’s redistricting processes. A new wave of partisan gerrymandering followed. Republican state leaders redrew congressional and state legislative lines following the 2010 Census to make sure their party could hold onto as many congressional seats and state legislatures as possible. 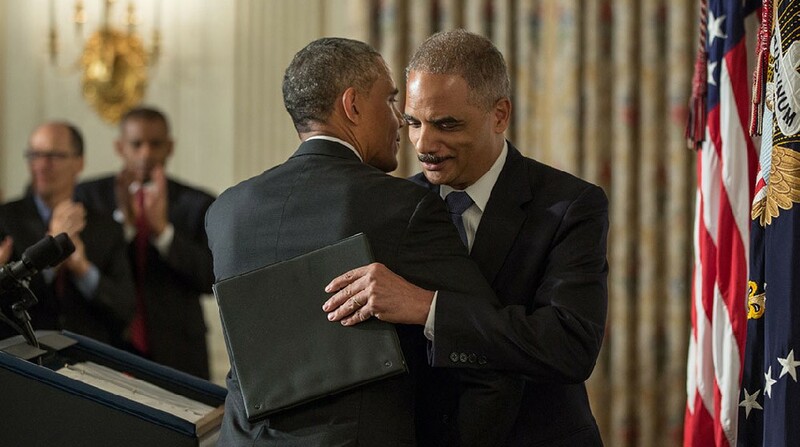 Former Attorney General Eric Holder and his organization, the National Democratic Redistricting Committee, are fighting to push back these partisan, and oftentimes unconstitutional tactics in order to ensure that the next round of redistricting is fair and that the maps accurately reflect the will of the voters. In recent years, since the gutting of the VRA, there have been countless attempts by state leaders to enact policies that make it harder for citizens to vote. From strict voter-ID laws to rolling back early voting periods, today’s barriers are a threat to the accessibility and fairness of our democracy — the very ideals that so many have fought for centuries to achieve. And continue the conversation with your network on social media using the hashtag #FairDemocracy and #IWillVote.